A partnership between the Belize Trade and Investment Development Service and the various public utilities, to provide direct support to small business owners and new startups, has resulted in the launch of what is being called a Micro-Enterprise Utility Start-up Package. The initiative is the outcome of continuing dialogue between the public and private sectors, more specifically between B.T.L., B.W.S.L. 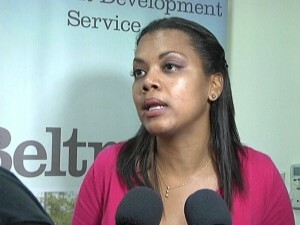 and Belize Electricity Ltd., to alleviate the cost of establishing a small business. Entrepreneurs would first need to register their companies with BELTRAIDE and provide proof that the business is a newfound venture before qualifying for the package. Advice and steering is being offered by the Small Business Development Center, a department of BELTRAIDE. According to Celina Gill, customer care manager, B.E.L. is assisting in stimulating the country’s growth by lowering the cost of electricity for new businesses. While there are certain benefits to be enjoyed, startup companies are expected to remain in good standing with B.E.L. by honoring the agreements. The event was held at the O.A.S. conference room in Belize City.